The Common Press is the letterpress printing studio at the University of Pennsylvania. The press is a collaboration of interests, including writing (Kelly Writers House), print culture (Penn LIbraries) and visual arts and design (the School of Design). The facility provides a mixed media environment where students can move between digital and manual image making, collaborating with writers, printmakers and others in the book arts. The Common Press exists to assist in teaching design and to facilitate collaborative projects across the university. It was founded on January 17, 2006, the 300th anniversary of Benjamin Franklin’s birth. Mary Tasillo is the manager of the studio and should be contacted with questions and suggestions! 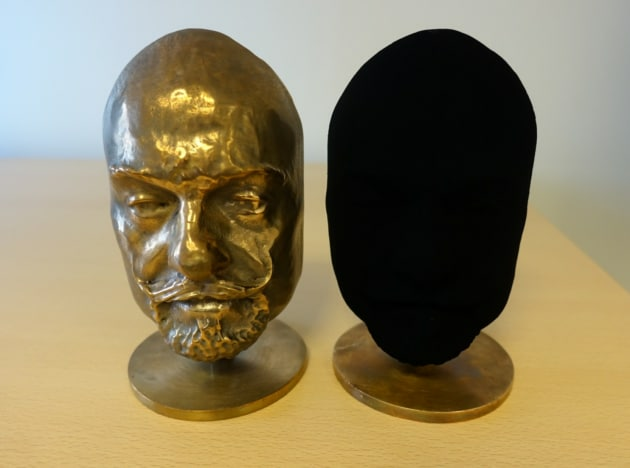 The Fisher Fine Arts Materials Library hosts thousands of samples ranging from traditional construction materials to emergent and novel samples such as Vanta Black, electronic paint, and seaweed insulation. The aim of the collection is to bring together innovation and creativity in order to advance conceptualization through tactile exploration. We are as much of a lab or studio as we are a library collection and we draw from disciplines across campus, making us a diverse and unique resource. We also offer 3D scanning technology to further explore and examine objects large and small. Please schedule a tour of our collection, visit it online, or suggest samples we should have.